Steel yourself for the jaw-dropping stunning mountain scenery when you enter Grand Teton National Park. The granite mountains rise 7,000-feet from the valley at 6,200′ to over 13,700′ at the summit of the Grand Teton. 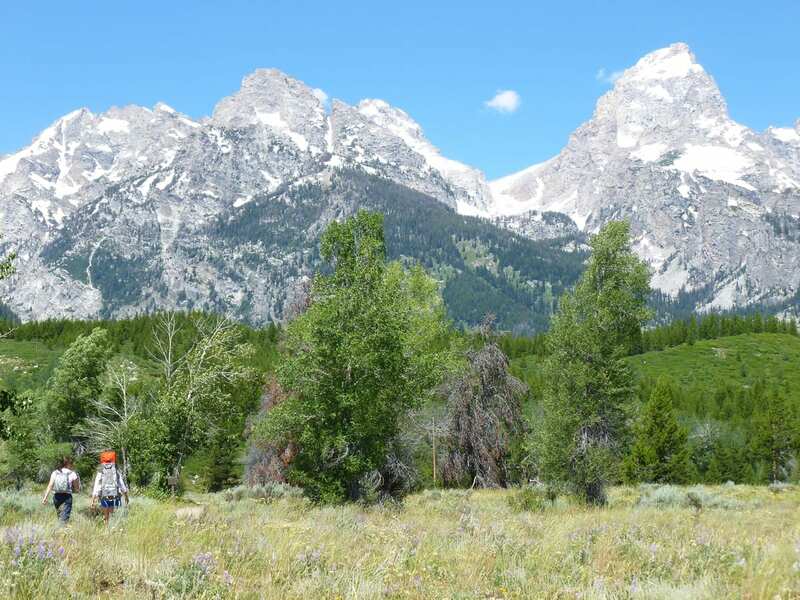 After the scenery, the next best thing about Jackson Hole is easy access to hiking, biking, fishing, canoeing, rafting, mountaineering and horseback riding. Rent a bike near the entrance to Grand Teton Park. The most popular hike in the park is to Hidden Falls and Inspiration Point. Take a small boat across Jenny Lake and hike up Cascade Canyon. When we visited the Tetons with our kids we saw a mother bear and cub along the trail around the lake. What a thrill.